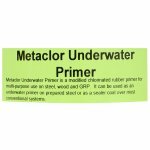 A chlorinated rubber primer for use above and below the waterline. Suitable for use on steel, wood and GRP. 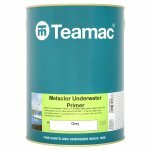 Teamac Metaclor Underwater Primer is a chlorinated rubber primer for use on steel, wood and glass-fibre reinforced plastics. It can be used below the water line on suitably prepared surfaces. It is recoatable in a minimum of 8 hours with approximate coverage of up to 10sq/m per litre. 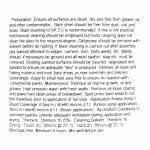 Suitable for application by brush or airless spray. 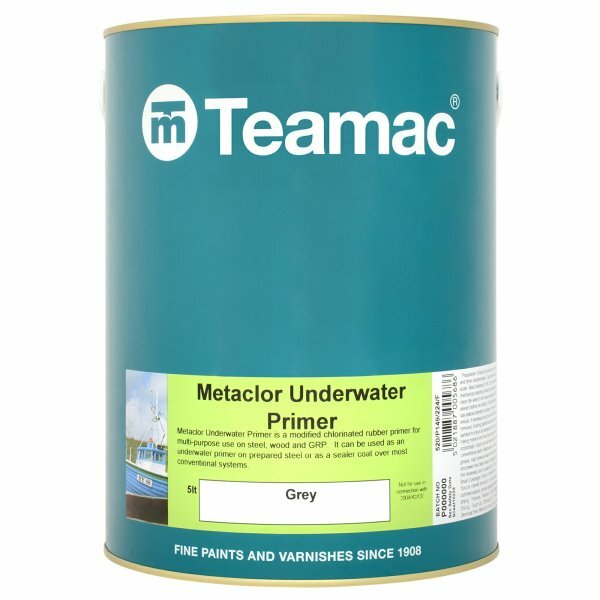 Teamac Metaclor Underwater Primer Grey is available in 1 colours from the Teamac Colour Cards.